With seven stakes races and Florida’s top three-year-olds in action, Xpressbet Florida Derby Day is one you won’t want to miss. 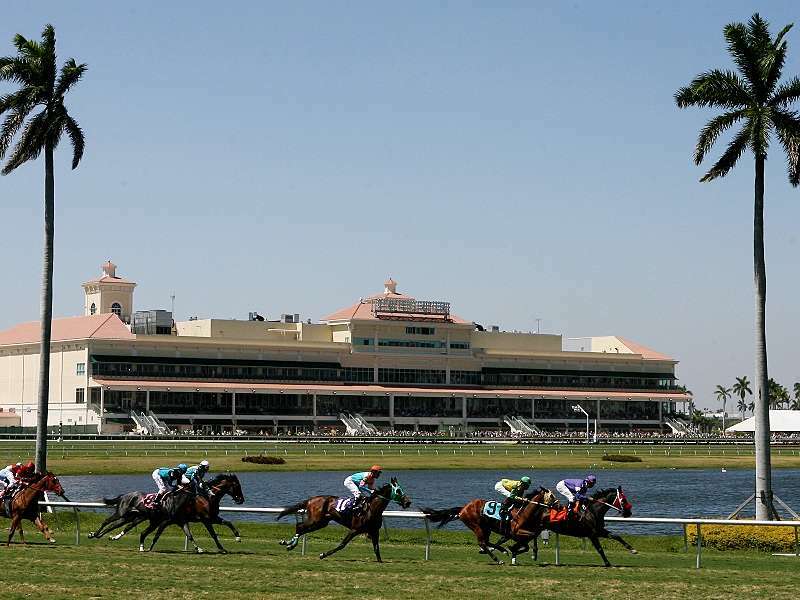 Furthermore, Gulfstream Park is upping the ante by offering a multiude of lucrative wagers throughout the card, along with their popular Rainbow 6 and Early and Late Pick 5’s. We’re getting in on the action by offering 5 Million XB Points to split on Saturday, March 30. Each contest is independent of the others, so you can win once – or even all seven times! Log In and register. You must register to be eligible. Registration begins Thursday, March 28. Make a winning wager on Gulfstream’s Late Pick 4, Late Pick 5, 5 Exactas ($2 Base Minimum), Middle Pick 4, Early Pick 4, Win Bet ($10 Minimum) on the Gulfstream Park Oaks, Win Bet ($10 Minimum) on the Gulfstream Park Mile on Xpressbet.com Florida Derby Day to earn a share of the Points in each pool. A total of 5,000,000 Points will be given away. Points are evenly distributed among all players who placed a winning wager with Xpressbet. Points will be deposited into winners’ accounts by 5:00PM ET on Tuesday, April 2, 2019. Offer valid March 30, 2019. Customers must register for Contest to be eligible. There is no fee to register. Contest consists of seven separate promotions – 1 Million Point Split on the Late Pick 4, 1 Million Point Split on the Late Pick 5, 1 Million Point Split on 5 Exactas ($2 Base Minimum) on the Card, 500,000 Point Split on the Middle Pick 4, 500,000 Point Split on the Early Pick 4, 500,000 Point Split on a Win Bet ($10 Minimum) on the Gulfstream Park Oaks, 500,000 Point Split on a Win Bet ($10 Minimum) on the Gulfstream Park Mile. Wagers that are refunded or cancelled do not count toward this promotion. Bonus Points will be deposited into winners’ accounts by 5:00PM ET on Tuesday, April 2. Participants must have an account in good standing to qualify for the promotion. Only wagers made through a participant’s Xpressbet account are eligible.